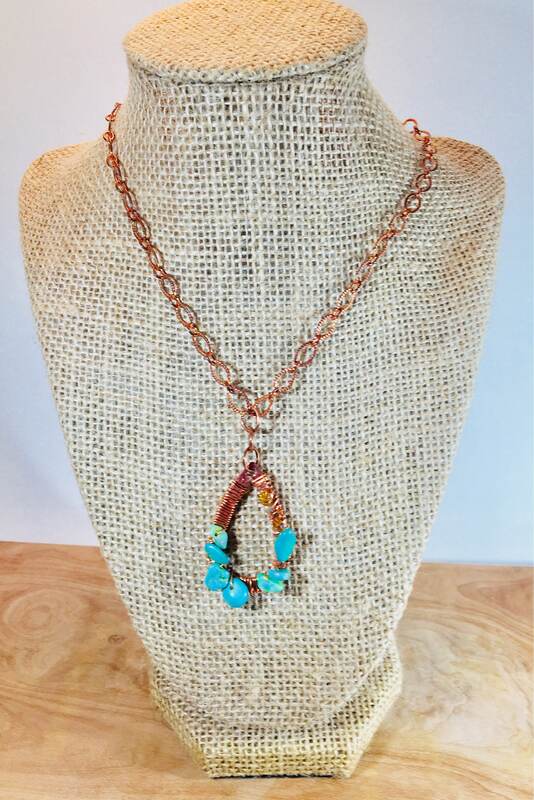 A stunning tear dropped distressed copper pendant is wrapped in copper wire and strung with turquoise and crystal beading. 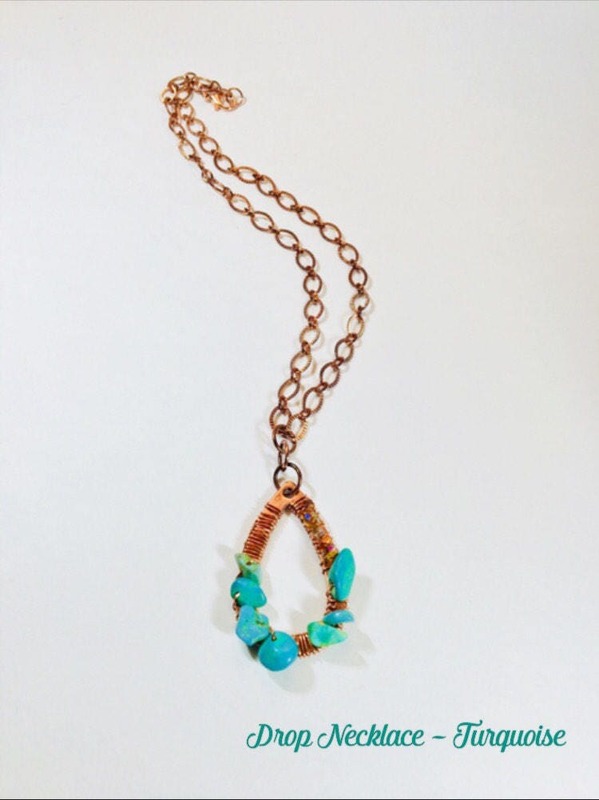 The pendant is attached to a gorgeous cable chain in a vibrant copper hue. 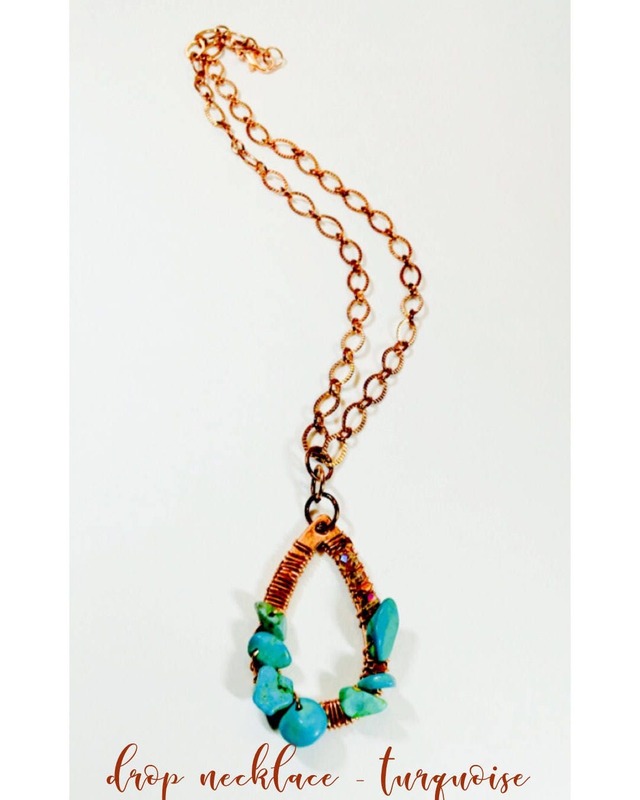 This is the perfect item to add a pop of color to any ensemble. From day to night, office to Music Festival ready.